Our ultimate mission when it comes to cargo storage is to create the most efficient, accessible, logical, and impenetrable products on the market. Although we’re continually developing new concepts back at the lab, it’s safe to say that after creating the Rear Cargo Storage Box, our initial mission is complete. 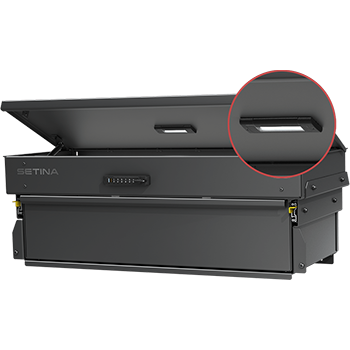 Setina can say with absolute confidence that our Rear Cargo Box is by far the most compatible and utilitarian cargo storage unit on the market. 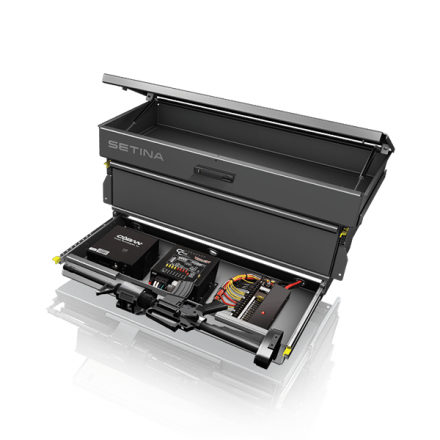 Setina Offers You Modular Flexibility with our Multi Tiered Cargo Storage Box. 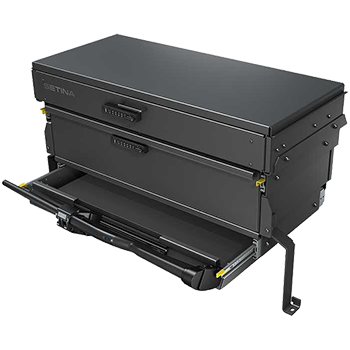 Setina’s Rear Cargo Storage Box is available in multiple tiers & configurations to meet your department’s needs. 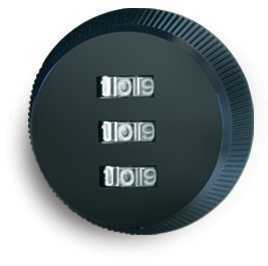 The top tier is available with any Setina lock option, including our NEW keyless RFID or KEY PAD locking systems. 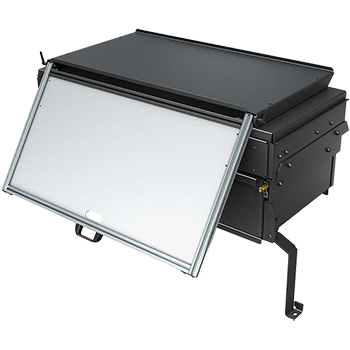 The lower slide out equipment tray tier is designed with 300 lb. capacity, lock-in, lock-out Accuride slide rails. 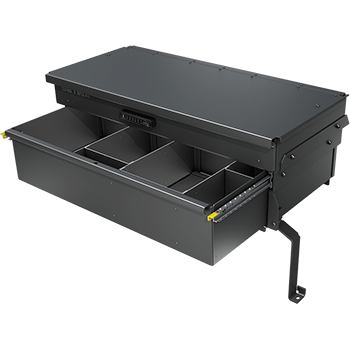 An optional 3rd tier is also available for electronics storage.